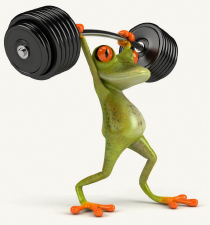 Do you know how satisfied your members are with the services and coaching expertise at your gym? As an affiliate owner you know CrossFit is a great workout, but knowing what your community wants will keep them coming back and build your reputation as an elite affiliate! Member Satisfaction surveys help you make decisions tailored to your community. We use a blend of online surveys and member interviews to find out where you are delivering and where you may have a weakness. We will contact lost members to find out why they left your box and you can use that information to reduce member loss in the future. WyMo Consulting is a management consulting firm specializing in business-to-business customer intelligence. The company just happens to be owned by a CrossFitter. 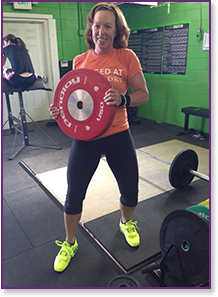 Bonnie Wylde, Managing Partner began CrossFit in 2011. She found she loved the varied workouts and the improvements in her health were undisputable. Now her entire family participates and enjoys the health benefits and the awesome CrossFit community. Michele Monetti, Managing Partner has spent her lifetime pursuing fitness and nutrition. Early in her career she worked as a fitness instructor and continues to educate herself and her family on the latest nutritional advancements. Michele and Bonnie decided to combine their expertise gained while helping large businesses understand their customers better, their passion for fitness and apply that knowledge to helping affiliate owners build their communities. The end result has been a joyful experience assisting the CrossFit community grow and prosper. "Hiding from your weaknesses is a recipe for incapacity and error." "Our Affiliate had been interested in finding a member survey which was tailored to the CrossFit needs of our athletes. The WyMo Consulting team helped us customize a survey for so many things – demographics, new programs we wanted to install, and ask members how we could improve their experience. We learned so much more about our members and now have new methods to maintain and grow our member population while keeping everyone happy. Thank you WyMo Consulting!!!"